Will Greenwood has warned Billy Vunipola could cause a split in the England camp heading into this year's World Cup. Vunipola was formally warned by the RFU and reminded of his responsibilities as an England player after his support of Israel Folau's anti-LGBT comments. Saracens have warned Vunipola for his support of Folau's comments on social media, describing it as a "serious error". Rugby Australia is pressing ahead with plans to terminate Folau's contract after the Wallabies full-back was served with a breach notice over his discriminatory social media posts. Greenwood told Sky Sports News: "It's been a really tricky period to commentate on because no one's here to judge but I think the key is Billy Vunipola has the right, however distasteful people think those views are, to his own opinions. "But what you cannot do, and the RFU and Saracens have warned him about, is you can't go out and openly promote views that, certainly with Israel Folau's post, incite hatred. You then step across a line you simply can't cross. The RFU had to address it." He added: "I do feel Saracens and the RFU have handled this well and I genuinely believe it was a clumsy use of vocabulary as opposed to his religious faith gave him carte blanche to demean a section of society without any repercussions." The Sky Sports pundit thinks Vunipola could cause splits in the England camp with the squad's togetherness likely to be tested in Japan. Greenwood said: "I don't want to bring others into it but there are players that have come out and said 'what on earth are you talking about? This is a complete nonsense'. Therefore you immediately get division within a camp. "The only thing you know in a game of rugby is if you win it, you win it together. You don't win it as one or as individuals. You win it with trust and understanding the bloke on your left and the bloke on your right buy into what you're thinking, the ethos and culture. "If you are strongly of the opposing view, as many will be to Billy's thought process, that can do a huge amount of damage to the fabric of your relationship as a team and that's what comes under the most scrutiny when you get a high pressurised environment in a World Cup." Vunipola was booed by the crowd during Saracens' defeat at Bristol on Saturday and Greenwood thinks the player will have to work hard to repair certain relationships. 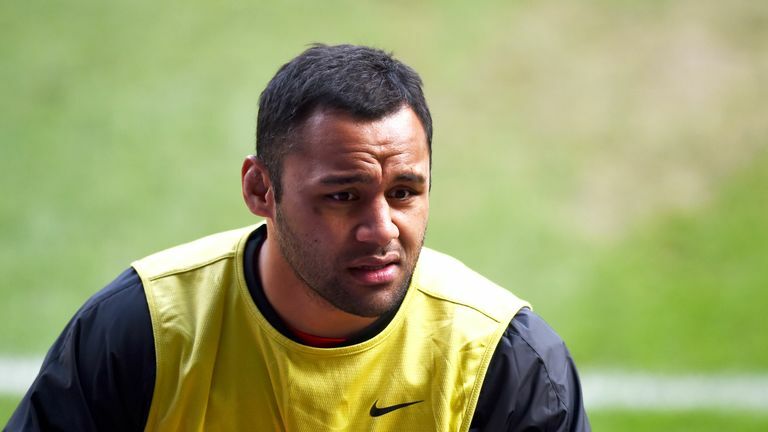 Greenwood said: "Billy Vunipola is an icon of English rugby and hugely popular and a sensational rugby player. On Saturday night he comes off the bench at Bristol in front of 15,000 people and I've never seen or heard anything like it in the game of rugby union before. "Every time he touched the ball he was booed, not by 15,000 but by enough people, to understand this is a major, major issue."